Ships from United States. Allow 5-7 days to ship. Pros: Great PC monitor for the price. A decade ago I was paying over US$1000 for comparable monitors. Cons: If I send it a 16:9 1080p signal over the DVI input, it stretches the image vertically to use all 1200 pixels at 16:10. That's fine for Windows, etc., but it ruins true video. I want to tell it to just center (a.k.a "letterbox") the 1080 lines in the middle of the screen without stretching. There is no menu setting to accomplish this, at least not with the DVI input. Other Thoughts: - This model is great for normal PC desktop work at 16:10. - It's not great for precision color tweaking like photo or video editing. - The main reason I bought two of this model was to hook up to Blu-ray players and external ATSC TV tuners. It's terrible at that since it distorts the 16:9 image so it fills the 16:10 display. Grrr... I'm using HDMI into DVI. Perhaps the DisplayPort input has better video handling but I've never seen a disc player or TV tuner with DP++ output. So, for me, these were a wasted purchase. Cons: Yet another Dell display with no speakers. Should have both HDMI and DisplayPort inputs. Other Thoughts: The reviews had me ready to add to cart for $144.99 with free shipping, until I reread the specs and found no speakers. Pros: Easy on my eyes! I cannot feel any heat being generated. Windows OS can decrease blue light on schedule with this monitor. Excellent business or development monitor - everyone should have at least two! Other Thoughts: Dell UItraSharp panels are hard to beat for work horse screens! I have had 3 of these on my desk for the last 5 years, and they have never let me down. Color is great, and when calibrated, they all match perfectly. I use them mostly for content creation, image editing, and coding. I have had over a dozen Dell UltraSharp displays going back 15 years, and everyone is still operational today. The older fluorescent tube back lit ones are getting a bit dim, but they still work. I don't see any sign that these LED back lit U2412M displays are showing any dimming yet. Only recently have I begun to consider replacing them, only because I would like a higher resolution display, but 16:10 and 24" is really the sweet spot for me. Unfortunately, the only other higher resolution, 16:10 UltraSharp display available is the $1000 30" UP3017, so I guess these trusty U2412Ms will have to keep on doing their thing. Other Thoughts: I thought I needed a 30" 16:10 but after getting this monitor up and running the 24" screen is big and of course it's more screen than 1080p as it's 16:10 and 1920x1200! Also I though these were old stock but mine has a manufactured date of Aug 2017 and it's rev A05! Pros: It's BIG! 1920x1200 (vs 1920x1080) is much nicer with a lot of windows open. I find the picture clear, sharp and easy to read. That said, I am not a gamer so I have no idea how good this monitor is for gaming. Other Thoughts: I've bought 7 of these monitors in the past couple of months (not all for me!). Two or three of the boxes split along the side seam (where the box is supposed to be glued together). While none of the boxes appeared to have actually opened up during shipping, it's quite possible I've just been lucky. Cons: Newegg and Dell should be ashamed of how this monitor is packaged and sent. Dell packaging is sent as-is. ONE piece of 3" tape holds each whole box together and by the time they reached me, one was torn through and the other was holding by a thread. One box had partially come apart and the lock tabs on the other were torn off. Honestly, I don't know how they arrived in one piece with all parts intact. I'm sure it must cost Newegg more in replacements than it would to add a few extra pieces of tape to these boxes. If they shipped these monitors like that, I'm sure they do it to all. I don't understand why they take such risks. Otherwise, monitor is great. 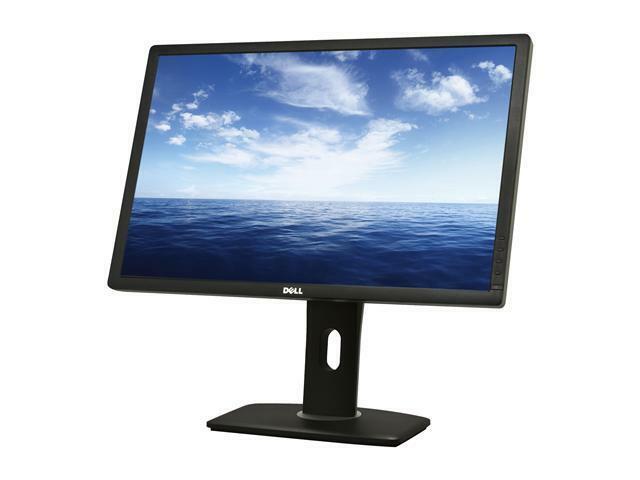 dell;U2412M;Dell U2412M Monitor ????? ??? ?